Following a highly enjoyable Saturday spent with Mike Medaglia around Finsbury Park, I wanted to report back on the 2018 London Tarot Festival. 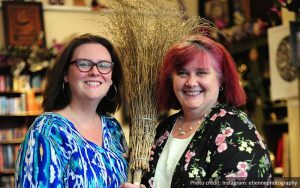 Using the lovely space of Platform, Kim Arnold, Geraldine Beskin and Bali Beskin have arranged the festival over two levels. The main area downstairs housing a number of stalls, tarot readers (top tip – book your spot as soon as you arrive!) and a space for the free talks. Then upstairs, a modern theatre space was used for guest talks, which you could either pay per talk or gain entry to all via a golden ticket. I kicked off with a one of the free talks hosted by Geraldine Beskin, of the truly wonderful Atlantis Bookshop, introducing a new spread she had created using the meanderings of the Thames estuary as inspiration for personal development. The spread was brought to life by her own reading and interpretation of the cards which was full of warmth and experience. 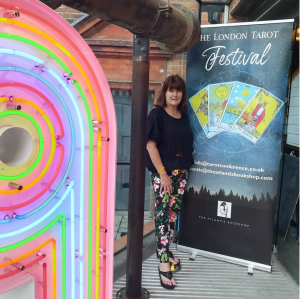 While wandering around the beautifully laid out stalls of the festival, Mike was able to have a very nice chat with Liz Dean, the author of many highly successful books about the tarot and the creator of the brilliant Game of Thrones Tarot. When Mike chatted with her it was only around 10:30 a.m. and she had already sold out of her full stock of the deck! Mike reports that she was very enthusiastic about the images he showed her from his forthcoming Luna Sol Tarot. Being the first tarot professional to have seen them, this was very encouraging for both of us! Heading up to the main theatre, Mike and myself were lucky enough to have a chat with Juliet Sharman-Burke, the creator of the highly influential Mythic Tarot and Sharman-Casellii Tarot decks. After picking up a brilliant book tip from Juliet, which has already been followed up, we settled in for a talk by Richard Abbott on the use of numerology in tarot readings. His key points were how the cards numbers provide both boundaries and associations. Boundaries in that their clear demarcation tells you as much what they are not as what they possibly are. 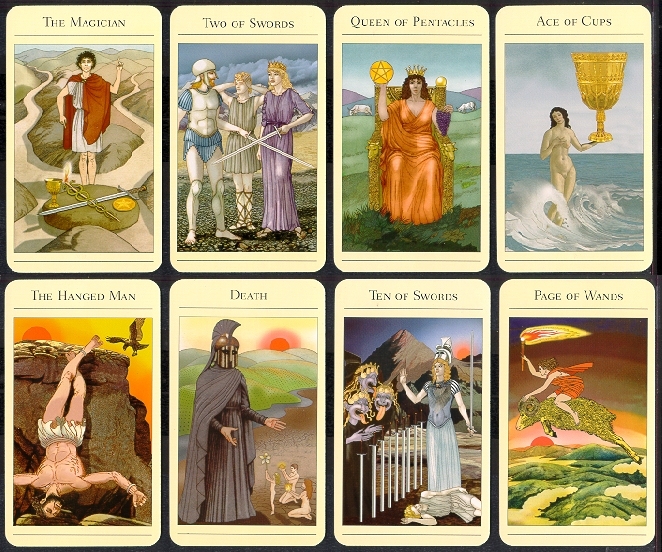 Associations through either direct comparison between Major and Minor Arcana – i.e. the common relationship between The Magician (numbered 1) and the Aces (also 1s), for instance – or derived associations – i.e. The Lovers (number 6) and The Devil (number 15, 1+5=6). Which of course leaves The Fool (number 0, or not numbered as Richard preferred) sitting everywhere and nowhere. Richard pre-empted the query as to whether he thought Strength or Justice sit at numbers 8 or 11 by mentioning he wasn’t going there today – I look forward to picking his thoughts some other time! We headed off for professional readings by two exceptional readers, Nina Kyprianou and Helen Hall. It brought home that no matter how happy you are with doing readings for yourself, it’s always worth visiting a professional when you get the chance. You gain new insights on the cards, new guidance on spreads and an outside perspective that always help. Given the quality of our readers, the organisers clearly take great care in who they invite to read. The afternoon started with Juliet Sharman-Burke’s talk on the relationship between the astrological elements and the Court cards. The use of myths and Juliet’s wonderful Mythic Tarot deck really helped bring the astrological connections to life, and I came away with a deeper understanding of both astrology and the Court cards. Frankly, with Juliet’s craft of storytelling, I could have listened all day! A brilliant hands-on session followed with Jane Struthers talk on seasonal readings. Using their own decks, the group was guided through four different spreads, each one covering a different season. Jane, the author of many wonderful books and, most recently, The Wisdom of Trees Oracle deck, took real inspiration from nature in the creation of these spreads. This was first time I’ve performed a reading in a group or in a guided manner, and I have to say there was a very positive reinforcing energy in the process! 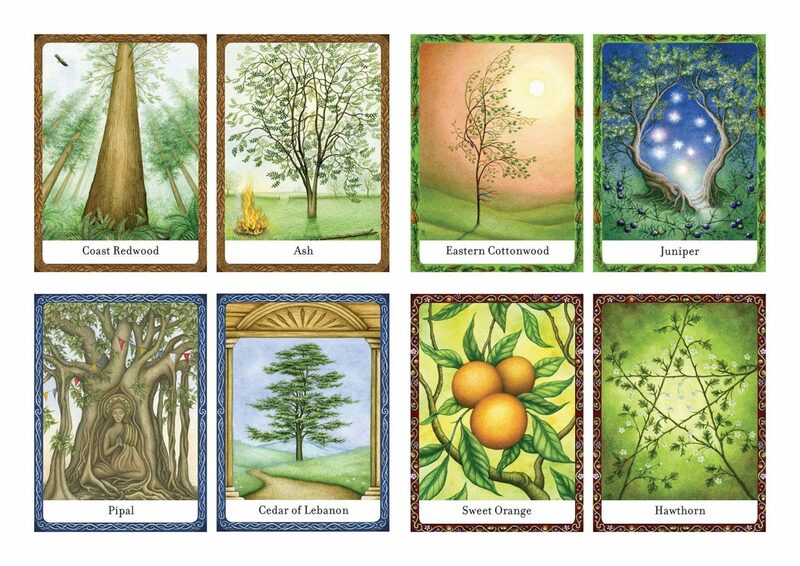 I took the chance to have a look at Jane’s Wisdom of Trees Oracle deck at the end, which were an absolute treasure with a beautifully presented accompanying book. Highly recommended! The day ended on a high with a talk by world-renowned Mary K Greer on Pamela Colman-Smith, the artist behind the Waite-Smith deck. Completely jammed with insight, Mary delivered a deeply researched overview of Pamela’s life. We particularly loved the details on Pamela’s synaesthesia (sense impression relating to stimulation of another sense) in the way that she could visualise music. When listening, it was as if a camera aperture briefly opened, offering a vision she could only record if she processed it as subconsciously as possible. Any attempt to study or analyse and it would break apart. Pamela spoke in interviews of how professional musicians had recreated music of a similar nature when shown her synaesthesia-derived images alone. This, and many more details, are to be found in the book Pamela Colman Smith – The Untold Story, which Mary has collaborated on with Stuart R. Kaplan, Elizabeth Foley O’Connor and Melinda Boyd Parsons. What a fabulous conclusion to a festival that Mike and myself thoroughly enjoyed attending! 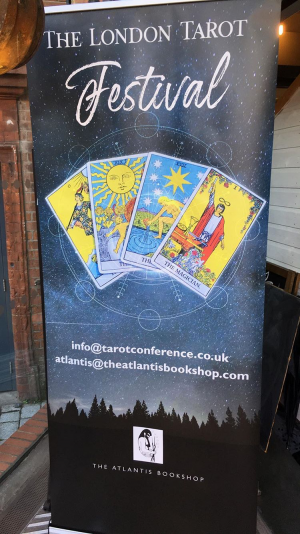 Apologies for not covering the talks that we ran out of time to attend – namely Liz Dean’s Q&A on the Game of Thrones Tarot and David Wells on How to use the Qabalah (from the little I caught, I wish I’d heard more!). Finally, a very big thank you to Kim Arnold, Geraldine Beskin and Bali Beskin who organised such an exceptional event! Thank you for the above Darren. I wish you all the luck with your deck I think it is quite stimulating.